UPDATE (12/05/10) – Valley Grown Salads and EDOM have replied to this letter claiming that the packing house in Tomer belongs not to them but to a grower that they have worked with in the past. They say that this grower is not part of their ‘supply base’ any more although they have ‘purchased from him’ on one occassion this season. EDOM claim that they have instructed the grower to take down the EDOM sign at the packing house in Tomer. I am writing to you from Corporate Watch (www.corporatewatch.org). Corporate Watch has, recently, been undertaking research in Palestine and has noted, with concern, that EDOM UK, an Israeli company in which your company holds a 20% share, operate a packing house in the illegal settlement of Tomer (pictures at https://corporateoccupation.wordpress.com/2010/03/25/uk-company-exporting-from-jordan-valley-settlements/). Tomer was established in 1976 on the lands of the people of Fasayil, Al Auja and other nearby Palestinian communities. Israeli settlements are illegal under international law and the British government’s position is that Israeli settlements in the West Bank are unlawful (see the FCO website). 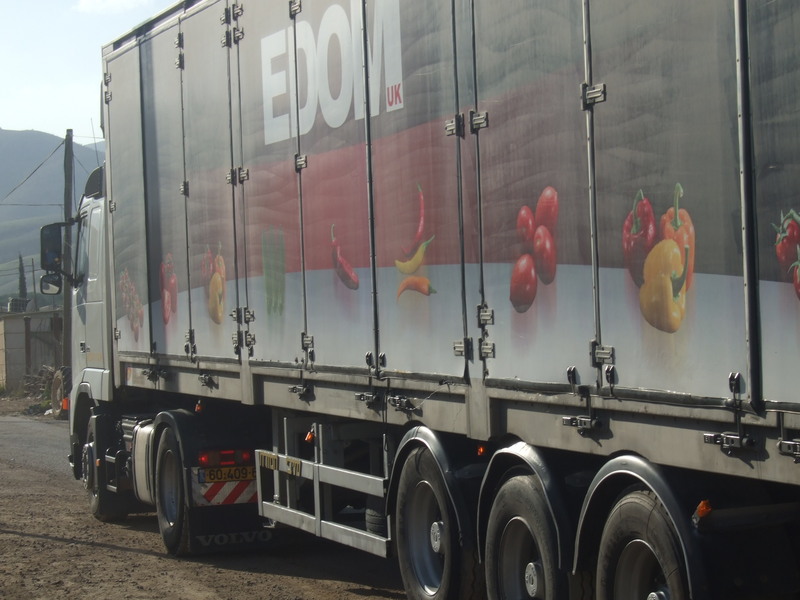 Corporate Watch interviewed workers who were delivering produce by tractor to the EDOM UK packing house. They said that they were paid 60 Shekels a day -less than half the current Israeli minimum wage (which Palestinians are legally entitled to) and work on a day to day basis without contracts. The men also confirmed that children as young as 13 work with them in the fields where they pick tomatoes, cherry tomatoes, cucumbers and aubergines. On a visit to the EDOM packing house in Tomer Corporate Watch found workers labelling organic produce “Made in Israel”. This is in direct contravention of DEFRA’s recent guidance which states that “the Government considers that traders would be misleading consumers, and would therefore almost be certainly committing an offence, if they were to declare produce from the OPT (including from the West Bank) as ‘Produce of Israel’. This would apply irrespective of whether the produce was from a Palestinian producer or from an Israeli settlement in the OPT. This is because the area does not fall within the internationally recognised borders of the state of Israel” (to read the full advice from DEFRA see http://www.defra.gov.uk/foodfarm/food/pdf/labelling-palestine.pdf). We would be obliged if you would let us know if Valley Grown Salads plans to divest its shares in EDOM UK.